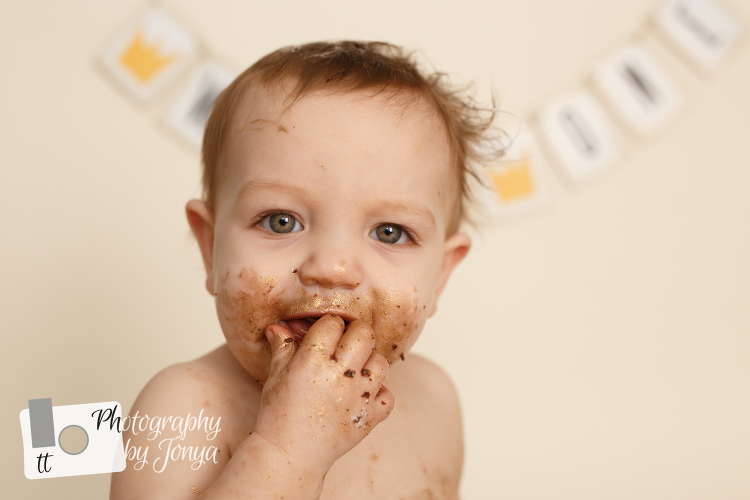 First birthday cake smash sessions are the best. Especially when the subjects are so cute! I loved the theme, Where the Wild Things Are. 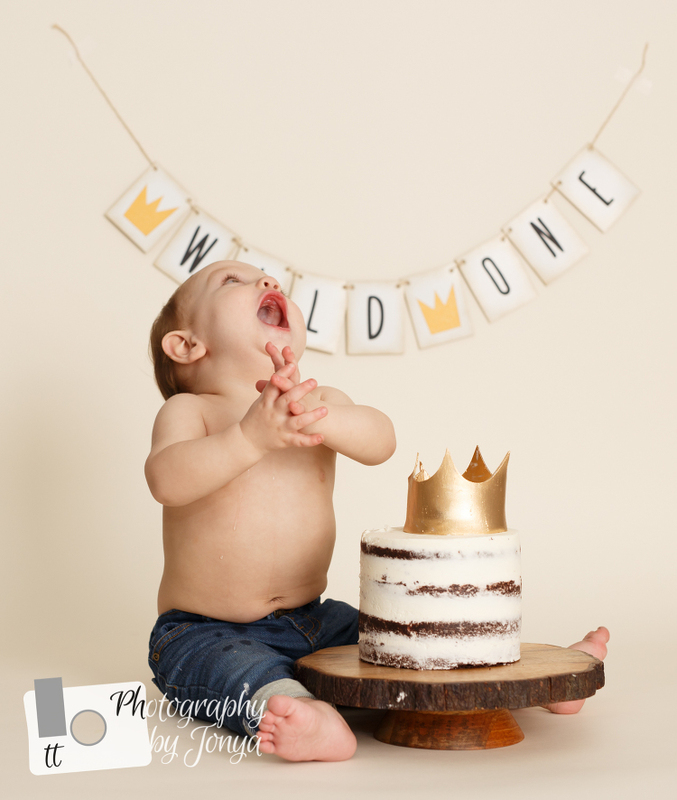 This theme has become so popular in cake smash sessions in the recent year or so. It has been especially popular for boys. Here is a sneak into a session from this summer HERE. They are such cute sessions. Each of them are so different. 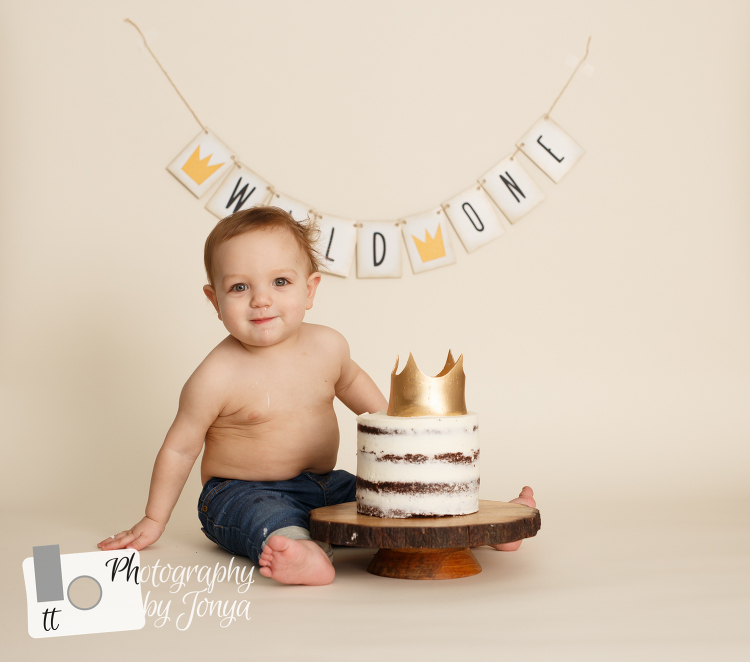 What made this session so cute was the crown on top of the cake. It was made with gold fondant and to be honest, he liked the crown way more than he liked the cake as a whole. As soon as he took off the crown we tried to get him to wear during the cake smash, he took to the crown on the cake. He broke it apart, chewed on it and also rubbed the gold fondant all over himself. It was really funny to watch him. The cake was chocolate and smelled so so yummy. The great news for mommy, daddy and his big sister – there was plenty of cake after the session to take home and enjoy. I was just left with the smell of cake! Haha!